With still an entire month to go, Samsung Galaxy S9 and the Galaxy S9 Plus got leaked ahead and the images look completely legit. The phone could be a disappointment for some because it has very incremental upgrades in terms of design and doesn’t showcase anything out of the ordinary to compete with Google or Apple. Just a couple of days ago, Samsung confirmed the launch date for their next gen flagship model. They confirmed that it will take place in an Unboxed event scheduled for February 25th just before Mobile World Congress 2018. When you take a quick glance at the device, you will probably mistake for the Samsung Galaxy S8 because the front end of the display looks pretty much the same. The popular bezel less display continues with this year’s phone but there is no word on whether it will be equipped with a finger print sensor below the front panel. Users find it extremely annoying to touch the finger print scanner which is located close to the top of a large phone and always difficult to access. Apple removed it from their iPhone X and relies only on face ID unlock while Samsung is trying to offer the best of both worlds in a mixed package. Camera is going to be the most talked about feature in the phone as the company talked about it in a tag line in their invitation. However, the leaked image also confirmed that they are going to use the highly criticized Bixby voice assistant button which doesn’t serve a real purpose. Android has Google Assistant as its voice AI yet Samsung wants to push its own product which doesn’t get the job done as good as these services. In terms of specifications, it is being speculated that the Samsung Galaxy S9 will sport a large 5.9-inch display running on Snapdragon 845 processor with 4GB of RAM and 64GB of storage space. The larger Galaxy S9 Plus will sport a 6.2-inch display with 6GB of RAM and 128GB of storage space. 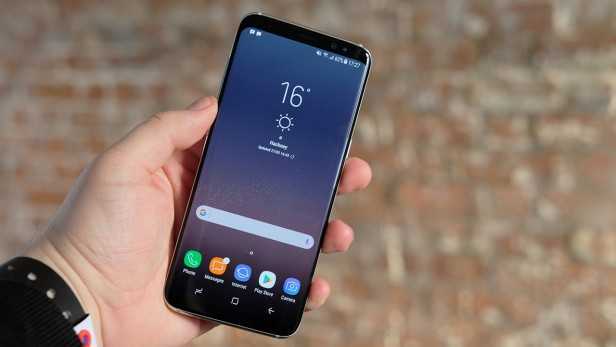 It is also believed that Samsung will allow their users to experience the best in-class camera by being able to switch between the aperture levels so as to take the best photographs in every lighting conditions. The finalized design can be confirmed only when the Samsung Unpacked event takes place next month as planned before MWC 2018. A video of the leaked phone has been posted online.